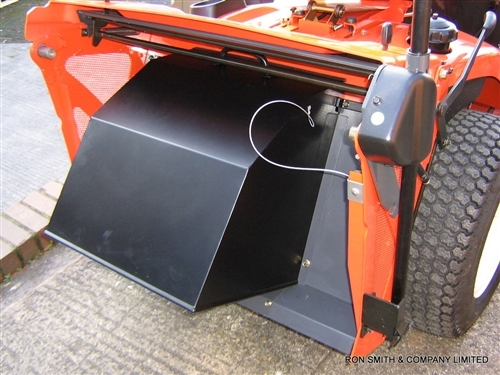 A grass deflector for use with Kubota's GR1600/GR2100 and current GR2120 range of Garden Tractors. The Kubota Grass Deflector is designed to be used with the GR1600/GR2100 and current GR2120 range of Garden Tractors. The chute can be easily fitted when you need to cut large areas of grass, where collection is not required. Constructed from powder coated steel for strength and longevity.